Thanksgiving is a celebration of fun, festivities, love, and togetherness. It is a day when the entire family comes together to enjoy this festival and relish the delicious treats prepared. 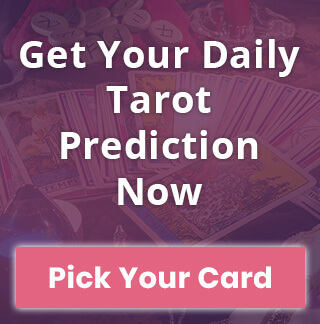 Whether you are the host of a Thanksgiving party or an invited guest, there is one thing you should do to make it a special one for your loved ones - give them a thoughtful present. And if it could be something with a personal touch, then nothing like it. If you are the host this time, we can tell you how to give a unique twist to your Thanksgiving party. Your guests will love your gesture! Read More: Thanksgiving Decoration Ideas You'll Love! So, thinking of what you can gift to your guests, this time? Let us simplify this task for you. Check out these unique and thoughtful Thanksgiving Gift Ideas for your loved ones. There is nothing that is more personal and sweet than a dessert made at home. You can bake some pumpkin pie muffins for your loved ones, put them in a cute little box, put a handwritten message on top and you are all set. You could gift this present to your family and friends alike. And, be rest assured that everyone will absolutely love this sweet surprise! Thanksgiving Horoscope! Show Gratitude by Your Zodiac Sign! No gift is classier and timeless than a bottle of wine. A bottle of red wine, to be precise. It is perhaps the best way to kick-start the festivities and thus makes for an interesting Thanksgiving gift. Bring this as a present for all your guests and make this Thanksgiving party all the more memorable and full of cheers and happy times. You can get some personalized Napkins with either the names of your guests written on them or a beautiful Thank You note inscribed. It is indeed a different way to convey your thankfulness and gratefulness to your family and friends. Plus, you can find them easily. 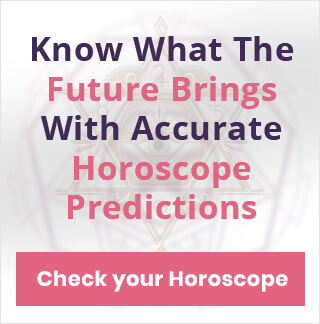 Read More: 2019 Yearly Horoscope! Give all your guests a present that they can cherish forever. A beautiful rose plant in a basket or a vintage bucket can be a gift that your loved ones will not only love but treasure for a lifetime. You can give each guest a different rose plant. It is a much better present than just giving a simple red rose or a flower bouquet. It is also a one-of-its-kind gift that you can surprise your guests with. A home decor item which not only looks good but has a purpose, as well. You can choose between different types of wine holders, for example, a personalized wooden holder or a steel one or a holder with a spiral stand. The options are many; pick the one that suits your budget. The simplest and most affordable, yet heartfelt gift is a Thank You card. Make beautiful cards out of a handmade sheet and write thoughtful messages on them unique to each and every one of your guests. It could prove to be a wonderful souvenir and can be the perfect way to end this festive evening. 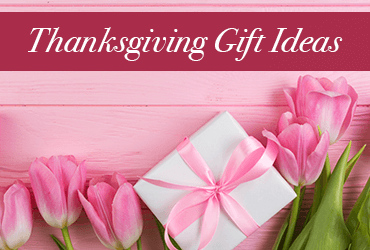 There are many other gift ideas which can make your loved ones’ Thanksgiving special. How many can you think of? Tell us in the comment section below.